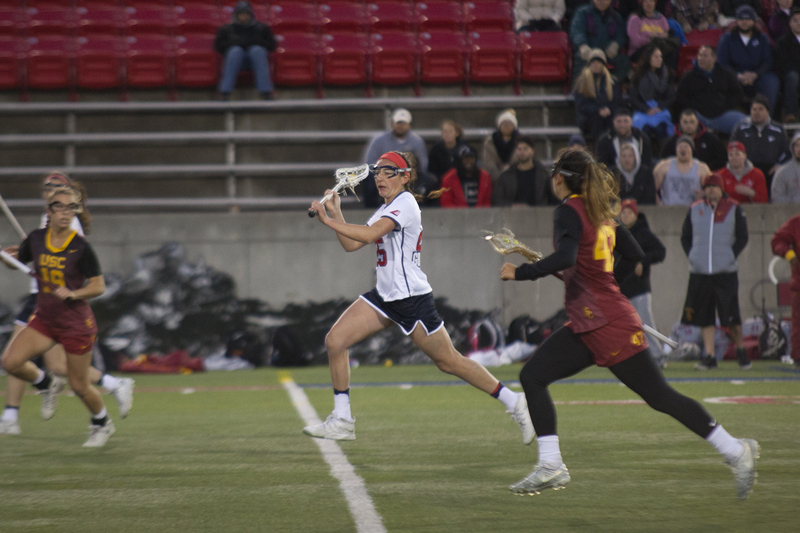 The Stony Brook women’s lacrosse team has been unanimously picked as the new No. 1 team in the country by three different national polls for the first time in program history on Monday. The first poll to crown the Seawolves No. 1 was ILWomen media poll, a subsection from the Inside Lacrosse magazine publication, which is also what the NCAA uses to rank teams on their website. The second set of polls came from the official Inside Lacrosse website and US Lacrosse Magazine. The final poll was the Intercollegiate Women’s Lacrosse Coaches Association poll, giving the Seawolves a clean sweep in the polls. The rise to the top spot started on Saturday afternoon, after then No. 1 Maryland fell to then No. 8 UNC 16-15 in overtime. Maryland since has dropped to No. 4, while UNC jumped up five spots to No. 3 in the newest polls. The newly ranked No. 1 team will take the field next on Saturday, March 3 for a game against No. 10 Northwestern. It will be a huge game for the Seawolves. While it will be the first game in the top spot of the polls, it is also redshirt-senior attacker Courtney Murphy’s first time facing the Wildcats since tearing her ACL in a game against them last season. The Seawolves are primed to show why they deserve the No. 1 ranking, even after a stifling defensive effort on Sunday.